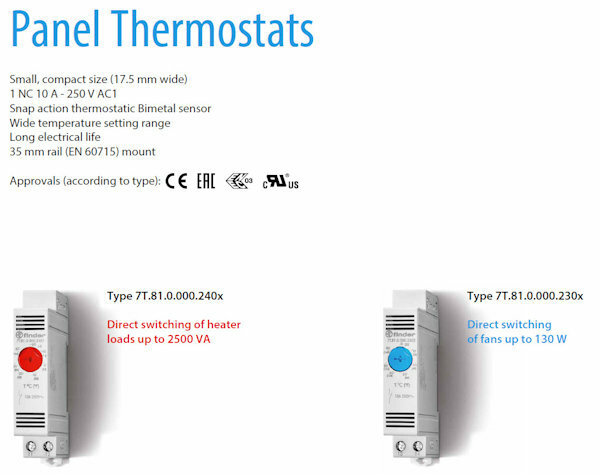 Thermostats / Temperature Probes | UK Electrical Distributors – E. Preston (Electrical) Ltd.
Finder’s new thermostat, the type 1C.61, with adjustment sliders designed to respond to the need for practicality, simplicity and comfort in the control of room temperature. Uniquely innovative, the 1C.61 is the first “touch slide” capable of combining the simplicity of a touch screen display with exclusive “guided programming”, with the ease of adjustment of the 24 linear sliders for temperature setting. The size and design make it unique at only 17mm thick and it is finished in an attractive white cream and grey. The cover, with spring assisted opening and closing, offers protection to the sliders from dust and gives continuity to the aesthetic curves. The backlit display features large font size and “Dynamic” icons, offering excellent legibility. However, despite the large display and backlight, the advanced electronics of the new 1C.61 cleverly limits the power consumption, extending battery life up to 2 years. Simple but fully featured: The 1C.61 fully justifies this slogan, since by entering the “setup” an extensive range of advanced features and functionality can be programmed. For example, you can set the time of day to the nearest 15 minutes; the “day” function allows you to program any 1 of 3 modes (Off, Manual, Sliders) for each day of the week. It is possible to make the display show the temperature of an (optional) external sensor, or even make it the main controlling sensor. 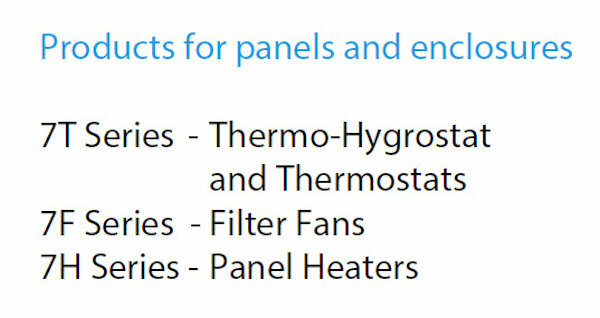 Innovative functions can be “set” to fully block changes to the thermostat (under PIN control), protecting all parameters entered including the settings of the sliders. Alternatively, a simple lock against the effect of accidental or malicious touching of the display buttons can be selected. The possibility of calibration to align the display to the perceived temperature is also an option. 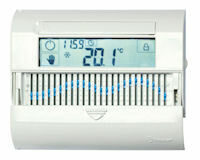 A remote contact can be employed to alter the operation of the thermostat by forcing the output switch off manually or allowing it to follow the normal program. In case of difficulty the Reset function will restore all the factory settings, returning the product to “as purchased” state. Finally, the manual timer (or vacation) setting has been simplified by adopting the concept of a “calendar”, whereby setting the time and date of the return from holiday ensures the thermostat will automatically return to the conditions of automatic programmed temperature control. 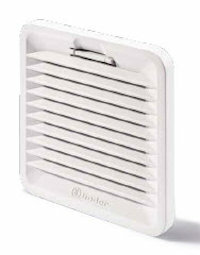 Finder has introduced a series of microprocessor-based room thermostats providing a temperature setting resolution accuracy of 0.1ºC and advanced setting options to help reduce energy usage in residential and commercial environments. Two new slimline thermostats are offered, each in a choice of grey or white housings: the 1T.31 provides LCD display and pushbutton temperature setting, while the 1T.41 provides LED indication and analogue dial temperature setting. 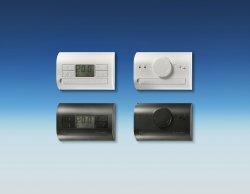 For both variants, selection of off, winter/heating and summer/cooling setting modes is very simple with either LCD display or blue/red colour coded LED indicators ensuring quick recognition of operating status. A day/night selector enables temperatures to be set back by 3ºC to help further reduce energy consumption while maintaining a comfortable ambient environment. In addition, a +5ºC frost protection setting in the off mode helps protect against burst pipes. Designed to be used together if required in the same building, both digital and analogue thermostats are presented in a consistent 18mm deep, IP20 rated housing for wall mounting. 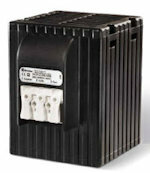 The thermostat supply voltage is provided by two AAA 1.5V batteries and the output contact is a 5A, 230VAC changeover relay. Honeywell’s ES110 Series and ES120 Series are a modular range of inflow thermistor-based sensors specifically designed for use in the transportation industry. Thermistors can be very effective in sensing temperatures of gases, liquids or solids because of their enhanced sensitivity, accuracy and reliability. The ES110 Series air/gas sensor has an exposed thermistor element that offers enhanced response for greater levels of control, while the ES120 Series is primarily used for immersion temperature measurements. 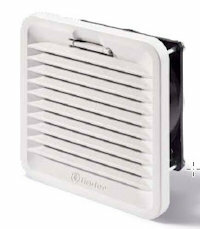 Its fully enclosed brass body makes it often ideal for applications requiring direct contact with liquids. Robust and easy-to-install threaded packaging often provides reliable operation in harsh application environments. 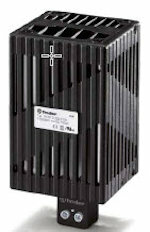 Fast response times over a wide operating temperature range of -40 °C to 150 °C [-40 °F to 302 °F] allow application flexibility. 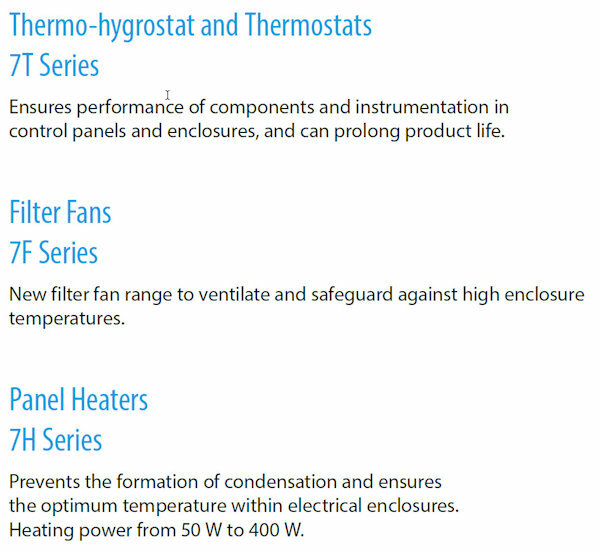 The 500 Series is broad portfolio of air/gas, liquid and surface temperature probes that use Honeywell’s NTC (Negative Temperature Coefficient) thermistors. Thermistors can be very effective in sensing temperatures of gases, liquids or solids because of their enhanced sensitivity. 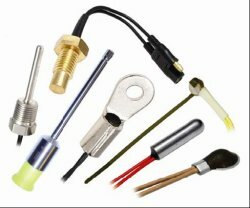 These small, easy to install probe assemblies support and position the thermistor elements within the media to be monitored as well as protect the thermistors against damage in use or handling. The assemblies also help direct thermal or fluid flow evenly across the thermistors for accurate temperature sensing. 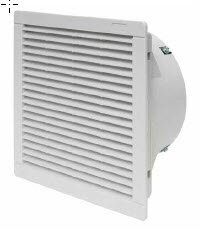 temperature range is -60 °C to 300 °C [-76 °F to 572 °F] provides application flexibility. 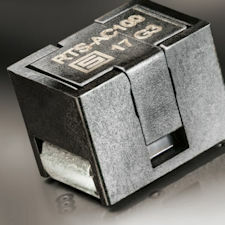 The 500 Series is available in a wide variety of housing styles and materials, R-T (Resistance-Temperature) curves, mounting methods, mechanical interface, electrical interface and connector types to meet most applications. In addition to custom configurations, a variety of existing designs is available. 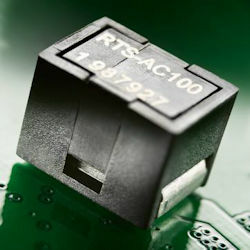 Honeywell also offers RTD (Resistance Temperature Detector) technology that may be packaged into probe assemblies for similar applications that may require an RTD linear output instead of an NTC thermistor output. Arcolectric have introduced the Temperature Micro-Logger, an intelligent panel mounted device that monitors and stores temperatures for downloading over a wireless data link. The device is ideal for applications where monitoring process temperature is important, particularly within the food preparation industry. It is especially useful for food storage, retail displays and prepared food outlets where accurate record keeping is essential. The Temperature Micro-Logger adds advanced logging functionality to a food storage unit for little cost increase, much smaller than would be expected by the end user. The Micro-Logger provides a clear and simple visual indication of the temperature conditions within the piece of equipment, utilising a simple go/no-go display principal. 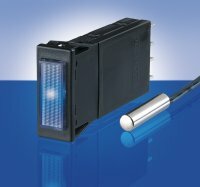 Blue LED illumination indicates when process temperatures are within safe limits. The display changes to a Red indication if the safe temperature limits are ever exceeded. Temperature measurement range can be set between -30ºC and +80ºC. 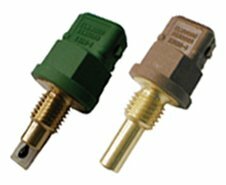 Designed for quick installation, the Micro-Logger has an industry standard snap-in profile, with a temperature sensor on flying leads for convenient remote mounting. The product can directly replace the mains neon indicator usually found on freezers, refrigeration and cold storage equipment, providing a fast, cost-effective upgrade of non-compliant or un-monitored equipment. The temperature data is logged into an internal non-volatile memory at user programmable time intervals ranging from 1 second to 12 hours. Up to 14,000 measurements can be stored. The data can be downloaded via the built-in wireless infrared communication port using a PDA, Notebook or laptop computer and is time and date stamped, simplifying reporting and providing documented evidence of historical storage temperatures. Retailers and producers need to ensure food products are kept at the recommended safe temperatures, and for self-protection, adequate temperature records must be kept. Complying with the relevant food storage regulations does not lay with the equipment manufacturer; it is the responsibility of the equipment end user. The addition of the Micro-logger to an item of food storage equipment enables manufacturers to supply added value to end users, and a facility to contribute to complying with the regulations.